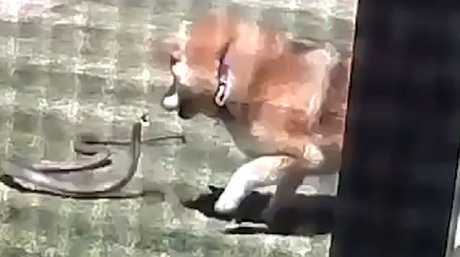 Nine-year-old Chardy, a shiba inu, grabbed the metre-long brown snake as it entered Teresa and Aaron Barnden's front yard at Truro, last week. Chardy keeps pulling the snake back to the lawn, immediately in front of a security camera in a nearby window. Mrs Barnden said she had been working at the other end of the garden and shrieked when she returned to find her pet in danger. Chardy finished off the snake and was bundled into the car for a swift trip to a vet in Angaston. "When I had her in the car, I saw two little red dots near her nose," Mrs Barnden said. Chardy was given antivenene for a suspected snake bite and spent four hours on intravenous fluids before being sent home. The next day, Mrs Barnden remembered the security camera and checked the vision. 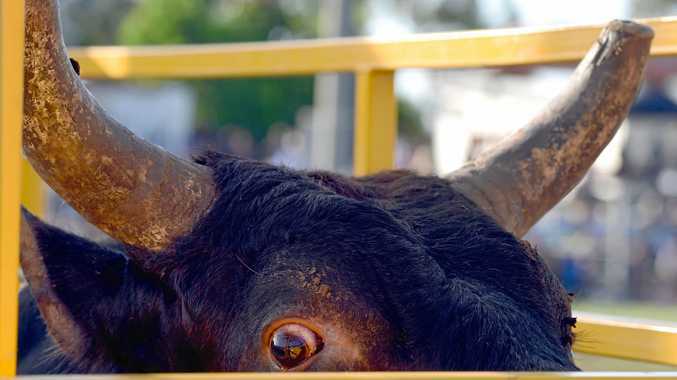 "I just felt sick when I saw it," she said. "It's sad for the snake but Chardy was just doing her job."